More often than not, we tend to take for granted the fact that our bodies somehow keep us going without us even thinking about it. Our heart keeps pumping, our legs keep moving, our brain keeps going, and so on. That is until something goes wrong. When something is off with your body, this is the time you stop to think about how everything functions, and what your body has to do on a daily basis to ensure you stay healthy. Take your veins, for example. They are the lifeline of your body, and their job is to carry blood throughout your body and back up to your heart. Having strong veins is essential to them being able to do their job, and to keep you in good health. However, one of the most common things that go wrong in the modern American’s body is vein function. According to the U.S. National Library of Medicine, one in five adults will develop varicose veins, and suffer a range of resulting problems. What causes vein function to dwindle? There are a number of reasons 20% of Americans struggle with varicose veins or other vein problems. Extra weight on your body means extra pressure on your veins. And pressure on your veins often times means varicose veins. However, what is particularly scary about being obese is that you may not even know your veins are suffering. Many non-obese people who have vein problems know something is off because they can see that their veins look abnormal. However, if you’re obese, then you have a great deal of excess fat which hides the unhealthy veins from being as obvious as they are in healthy people. Though it is a myth that only old people get varicose veins, it is true that as you age, you become more and more susceptible to them. In fact, one of every two adults over the age of 50 will get varicose veins. The more and more your veins are used over time, the more at risk they become of weakening, and thus causing problems. We hate to break it to you, but no matter what you do to fight the onset of varicose veins, if your mother had them, and your grandmother had them, chances are good you will too. There are healthy habits that you can attempt to try to reduce your risk of developing vein problems, but genes may make it inevitable for you. If you are pregnant or going through menopause, you may find yourself getting varicose veins. Pregnancy increases the amount of blood in a woman’s body, needed to support the growing baby. However, to account for the increase of blood, the woman’s veins may enlarge. In addition, as her uterus grows throughout the pregnancy, she will experience more pressure on her veins. 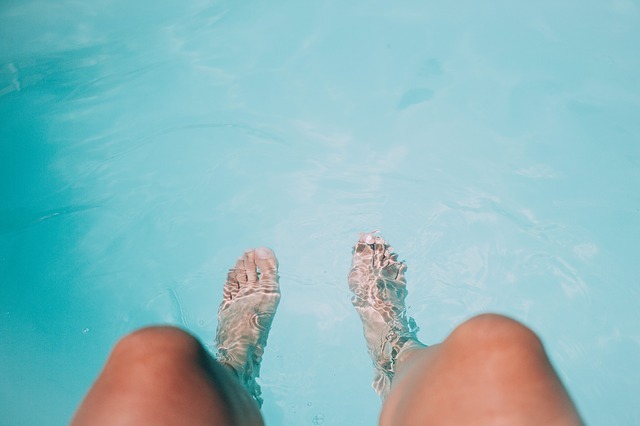 There are a number of problems you put yourself at risk for if you spend too much time sitting, and one of them is varicose veins. If you are sitting or standing for extended periods of time, you are forcing your veins to work harder in order to get that blood back up to your heart. And the result of that is varicose veins. But don’t worry, we’ve got good news. There are things that you can do in order to strengthen the veins in your legs, and we are here to share those things with you today. Elevating your legs for at least 15 minutes every day gives your veins a break from their hard work. Whether you have vein issues or not, this is something that you should practice doing on a regular basis. However, if you are suffering from vein problems, elevating your legs is especially important. Doing so allows the extra blood in your legs to drain towards your heart, and get your circulation moving properly again. One of the biggest issues people with vein issues suffer is circulation. 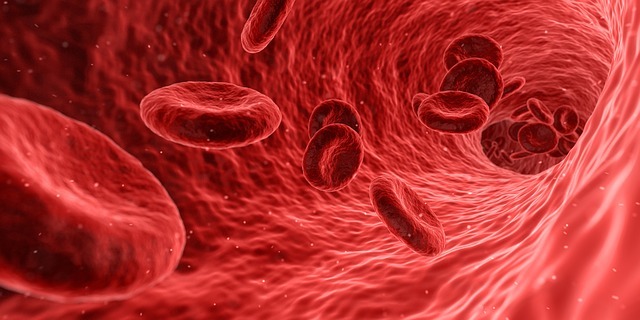 Proper circulation is vital to ridding excess waste in your system, and if your body isn’t circulating the five quarts of blood that are pumped through your body every minute, you are going to face some problems. So how do you give your circulation a jump start? There are a number of things you can do, but exercising is the most important, and probably the most efficient. And if you think you have to run 10 miles a day in order to get your circulation back to a good place, we have good news for you — you don’t! These stockings were specifically designed to help the veins in your lower legs force blood up and out of your calves, back up to your heart, so they are a great way to strengthen your veins. These are especially important to wear when traveling, as this is a time many people suffer from swelling veins. At the first sign of vein problems, you will want to consult a vein specialist. Since we are guessing you are not a doctor, it’s hard to know exactly what vein issues you are suffering, and how severe they actually are. To avoid struggling with some truly serious problems which could cause you a great deal of damage, it’s better to err on the safe side and consult with a vein doctor. The doctor may simply send you home with a pair of compression socks to wear from time to time, or he may suggest a treatment. Vein Clinics of America specializes in minimally-invasive treatments and will have you back on your feet in no time, with almost no downtime. Rather than just masking the problem, our vein specialists will get to the root of the problem to ensure the vein problems come to an end, and don’t continue to wreak havoc on your life. So what are you waiting for? Contact a VCA clinic near you today to get your veins strong again.